The majority of our blogs demonstrate the power of animations, and why we love them so much. After all, we are an online video animation maker. This blog, however, takes a more neutral standpoint, in which we compare both animated videos and live action videos. At the end of the blog, you should hopefully have a greater understanding which type of video is best suited for you. Animated video vs. Live action video: what are they? First things first, we need to understand what the two types of videos are and what they offer. Animation is the art of drawing sketches and objects and then showcasing them in a series of frames, making it look like the images are moving. Animated videos tend to used in any form of explainer videos used to educate and inform their viewers. On the contrary, live action video is a recording of either still or moving objects. Live action videos can refer to both cinematography or videography that does not make use of animations. Animated video vs. Live action video: which takes longer? Animators create everything from scratch. Animations can take weeks or even months to complete. Live action videos, on the other hand, can be typically shot within a couple of days. Everything captured in live action videos is in real time which allows you to make any necessary adjustments or even improvise on the spot. However, instead of creating your animations from scratch, you could also use pre-made ones. The Moovly Library contains over 1000 items ranging from Doodle Marker style animations to Infographic Style ones. Here’s how you can learn more about the Moovly Library. 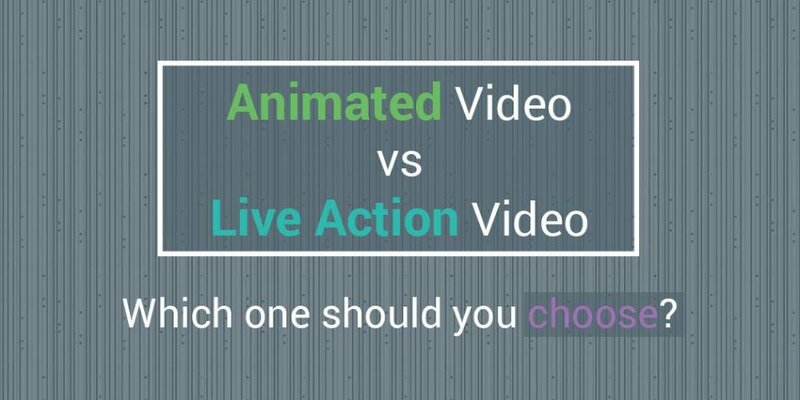 Animated video vs. Live action video: when to use them? To be perfectly honest, there is not a correct answer. Both animations and live action videos can be used for various videos and projects. Having said that, there is a range of factors you should consider when deciding on what type of online video to make. Do you want to make a personal video, one that shows a more human and friendly side? If so you really can’t beat live action video. We are drawn to human faces and real human emotion, which is something harder to replicate with animated videos. Did you know Moovly has four different unique animations styles? If you are a business, you can use the professional looking Infographic Style. If you are a teacher, you can use the fun Doodle Marker style. If you are making a bright and friendly animation, why not use the Colorful Cartoon Style? Finally, we have the Paper Cut-Out Style, perfect for making short movies and videos. The moment has come for us to deliver our final verdict. Choosing between animated videos and live action videos is a tricky task, but we have decided to brave the responsibility and help you decide. Overall it comes down to what your video aims are and your set of in-house skills. Hiring experts to create animations or shoot videos can end up eating through your budget. So before making a decision ask yourself three fundamental questions. What type of video are you going to make? How much time and resources have you allocated? And who is going to watch your video? For those of you who choose video animations, it’s never been easier to get started on your first video right now. You can sign up here for your free Moovly license and start making animated videos like a pro! Alternatively, if you want to make animations but don’t have enough time or skills, you can contact one of the Moovly Partners. They can create animations, content and offer both creative advice and Moovly training. You can find more info about the Moovly partners here. 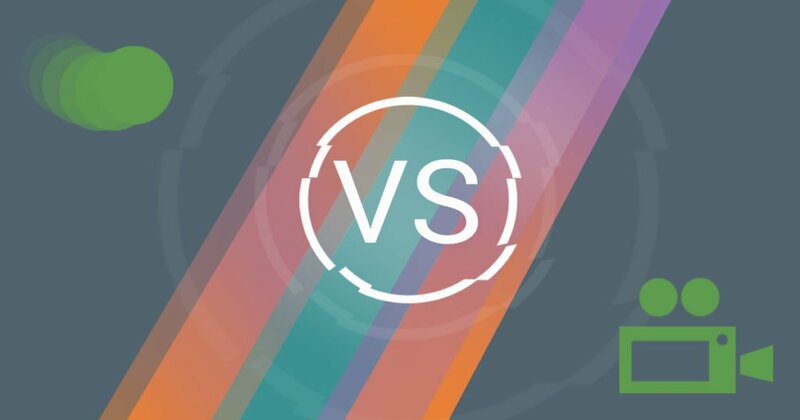 PreviousPrevious post:How to make an explainer animation videoNextNext post:Social Video vs Viral Video. What’s the Difference?